Micker Adolfo does not have any MLB stats for the season. Single … has two children: twin sons Matthew and Michael...Is a graduate of St. Peter and Paul Catholic High School in St. Thomas ... Instagram: @mickeradolfo11 … enjoys flying kites and riding horses at his grandfather's ranch. Appeared in 79 games with Class A Winston-Salem before being shut down for the remainder of the season in July to undergo Tommy John surgery on his right elbow ... Was diagnosed in spring training with a sprained UCL in his right elbow … was the designated hitter in every game he appeared, including the Dash season opener on 4/5 at Carolina ... Hit all 11 of his home runs off right-handers ... Was named Carolina League Player of the Month for April after batting .308 (28-91) with . ve home runs and 21 RBI ... Also was named CL Player of the Week for 4/5-15, hitting .395 (17-43) with five doubles, two home runs and 10 RBI … drove in five runs on 4/25-2 at Lynchburg and four on 6/25 at Frederick ... Played his final game on 7/6 before undergoing seasonending surgery ... Entered the season ranked by MLB.com as the No. 11 prospect in the Sox organization. Was named to the South Atlantic League postseason All-Star Team and was an MiLB.com organization All-Star in his first full minor-league season...Ranked among the SAL leaders in home runs (5th, 16), RBI (8th, 68), total bases (9th, 192), slugging percentage (11th, .453) and doubles (T11th, 28)...Tied for the White Sox organizational lead with 46 extra-base hits and ranked among the leaders in doubles (2nd), total bases (3rd), slugging percentage (6th), runs scored (7th, 60), home runs (T7th) and hits (T8th, 112)...Was named the Sox organizational Player of the Month for both May and June … batted .333 (32-96) with 11 doubles, two home runs, 17 RBI and 14 runs over 24 games in May and .267 (27-101) with eight doubles, eight homers, 20 RBI and 20 runs scored over 26 games in June...Compiled a career-high, 16-game hitting streak from 4/27-5/15, going 24-66 (.364) with eight doubles and 12 RBI … posted a 12-game hitting streak from 6/11-24, going 17-46 (.370) with four home runs, 10 RBI and 13 runs scored...Homered and drove in five RBI on 5/2 vs. Augusta … recorded his first career multihomer game on 8/3 at Greensboro and hit a grand slam on 8/10 vs. Greensboro... Was on the disabled list from 4/8-14 with a bruised right hand and from 8/23-remainder of the season with fractured left hand...Was named by Baseball America following the season as the No. 12 prospect in the SAL...Entered the season rated by Baseball America as having the Best Outfield Arm in the White Sox organization. Batted a combined .221 (58-263) with 15 doubles, six home runs, 23 RBI and 32 runs scored over 69 games between Kannapolis and the Arizona Rookie League White Sox ... Was on the disabled list from 5/4-6/24 with a fractured left hamate bone and 8/18-26 with a sprained left ankle ... Went 4-6 with four runs scored on 7/26 at Delaware. Was rated by MLB.com following the season as the No. 6 Prospect in the White Sox system ... Suffered a season-ending fractured left fibula sliding into second base on 8/5 vs. the AZL Indians. Ranked fifth in the Arizona League in home runs (5) … led the AZL White Sox in doubles (10) and total bases (68) and tied for the team lead in home runs. 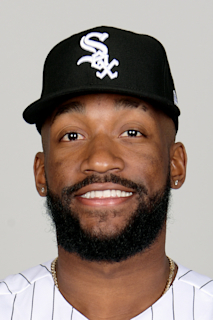 March 13, 2019 Chicago White Sox optioned OF Micker Adolfo to Birmingham Barons. March 12, 2019 Chicago White Sox optioned OF Micker Adolfo to Birmingham Barons. October 1, 2018 Chicago White Sox recalled Micker Adolfo from Winston-Salem Dash. July 14, 2018 Winston-Salem Dash placed OF Micker Adolfo on the 7-day disabled list. March 14, 2018 Chicago White Sox optioned 1B Micker Adolfo to Winston-Salem Dash. March 13, 2018 Chicago White Sox optioned RF Micker Adolfo to Winston-Salem Dash. November 20, 2017 Chicago White Sox selected the contract of Micker Adolfo from Kannapolis Intimidators. September 20, 2017 Kannapolis Intimidators activated RF Micker Adolfo from the 7-day disabled list. August 23, 2017 Kannapolis Intimidators placed RF Micker Adolfo on the 7-day disabled list. April 15, 2017 Kannapolis Intimidators activated RF Micker Adolfo from the 7-day disabled list. April 11, 2017 Kannapolis Intimidators placed RF Micker Adolfo on the 7-day disabled list retroactive to April 8, 2017. March 1, 2017 RF Micker Adolfo assigned to Chicago White Sox. August 27, 2016 Kannapolis Intimidators activated RF Micker Adolfo from the 7-day disabled list. August 18, 2016 Kannapolis Intimidators placed RF Micker Adolfo on the 7-day disabled list. June 25, 2016 Kannapolis Intimidators activated RF Micker Adolfo from the 7-day disabled list. June 20, 2016 Kannapolis Intimidators sent RF Micker Adolfo on a rehab assignment to AZL White Sox. May 4, 2016 Kannapolis Intimidators placed RF Micker Adolfo on the 7-day disabled list. April 16, 2016 RF Micker Adolfo assigned to Kannapolis Intimidators from AZL White Sox. June 20, 2014 RF Micker Adolfo assigned to AZL White Sox. February 24, 2014 RF Micker Adolfo assigned to DSL White Sox. July 2, 2013 Chicago White Sox signed free agent RF Micker Adolfo to a minor league contract.